Capital Kids is committed to providing you with quality infant care. 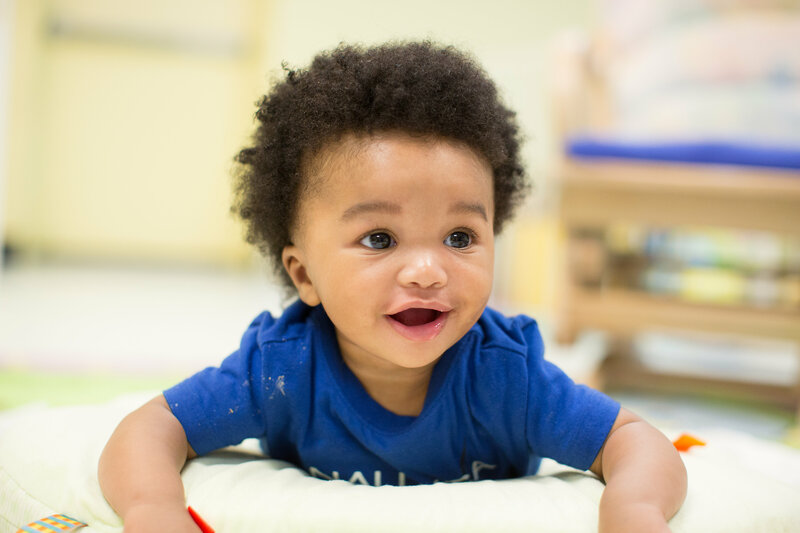 Our infant program is designed to work with your child's individual needs, adapting to his or her physical, cognitive, and psychosocial stages of development. At Capital Kids, our caregivers provide an environment that will help your child build a sense of security and will lay a foundation for the development of confidence and trust. We will work closely with you on a daily basis to ensure that we are meeting your infant's evolving needs through individualized schedules and loving, attentive care. Program goals and objectives have been designed in order to meet these needs, along with an infant curriculum, which together form that basis of our philosophy of a quality infant program.